Michael Langdon found the charred remains of the warlocks and his mother and he was deeply upset. Cordelia appeared and confronted Michael about his true identity. She tried to turn Michael to her side, but Michael vowed to kill every witch in existence. Michael walked through a mostly deserted forest until he came upon a clearing in which he drew a pentagram. He sat in the pentagram and vowed not to leave until his father communicated with him. Four days later, Michael still sat in the pentagram, but he was visited by visions of children offering food and drink. He managed to resist all of them, but there was still no contact from his father. Michael went back to the city and began walking its alleyways. Michael was able to find a Church of Satan. Within, one of the priestesses was essentially putting on a stand-up comedy performance in honor of the return of the Anti-Christ. The priestess urged all of the congregation to commit acts of evil to help bring about the end times. She shared that she had robbed a nursing home and donated all of the money to the NRA. One of other members of the congregation noticed that Michael looked like he hadn’t eaten in days, and she offered Michael a meal at her house after the service. At the woman’s house, Michael shared his life story and the woman attempted to sell Michael on the wonders of Satanism. He decided to tell the woman that he was the reincarnation of Satan and she immediately began to worship him. Michael was taken to the Church where they were performing a old-fashioned human sacrifice. The priestess confirmed that Michael was in fact the child of Satan and he happily partook in the sacrifice. Michael was immediately pampered by all members of the congregation. 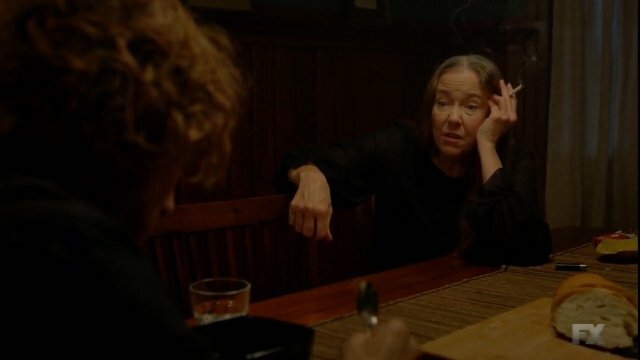 He told the priestess about Ms. Mead and her death, so she decided to take Michael on a road trip to meet someone who could get around the problem of death. Michael was dropped off at the headquarters of the Co-Operative. 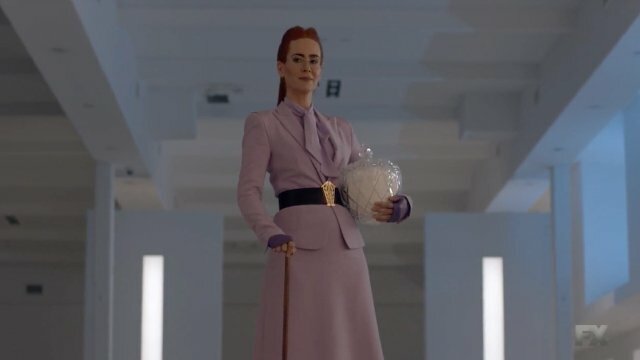 The Co-Operative was being run by Ms. Venable who received a package of cocaine to give to her technicians who were building lifelike robots. Michael was brought in for his meeting with the technicians. The technicians expressed doubt about Michael’s identity, but he quickly dispelled them with a display of hellfire. The pair unveiled the newly constructed robotic Ms. Mead to Michael. She immediately recognized Michael and the pair began to reconstruct their relationship. 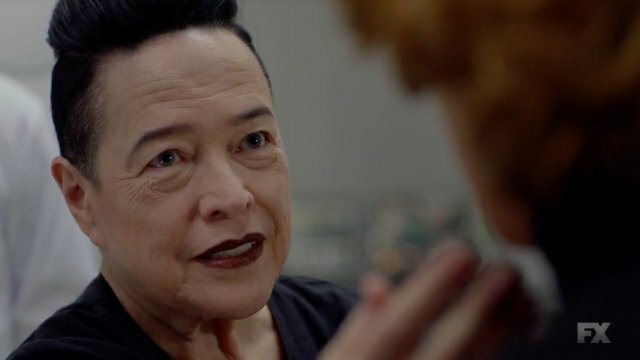 What did you think of American Horror Story: Apocalypse episode 8? Let us know down in the comment section below! 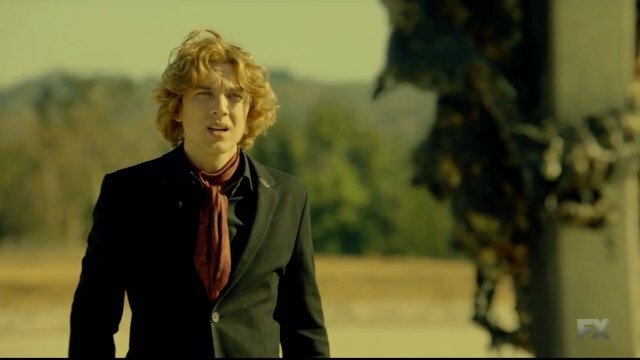 The post American Horror Story: Apocalypse Episode 8 Recap appeared first on ComingSoon.net.